​​Bayern Munich manager Niko Kovac has claimed that the cup competition in midweek took its toll on both his team and ​Borussia Dortmund, with the latter dropping points against Hoffenheim despite taking a three goal lead. The German champions had to extend it until extra time to win their DFP-Pokal game against Hertha Berlin, while Dortmund also went the full 120 minutes but lost in the penalty shootout to Werder Bremen. 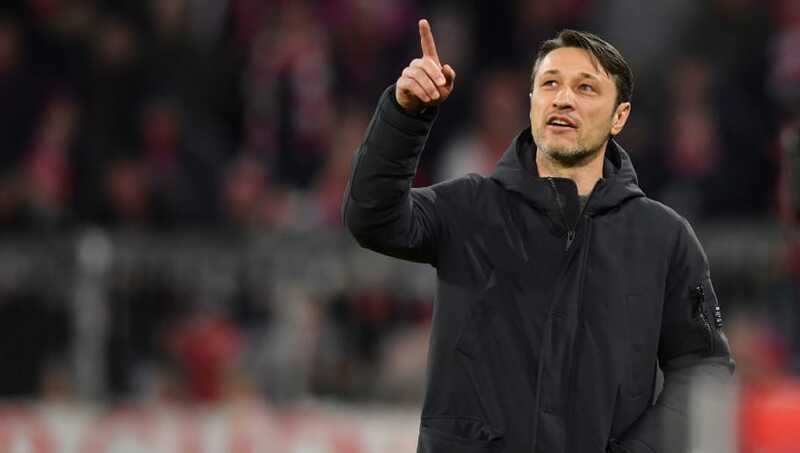 Kovac suggested that the fatigue following the long cup game could be the reason that Dortmund ended up dropping points in their Bundesliga game on Saturday. "We did a really good job in the first half and temporarily in the second," head coach Kovac told reporters, according to ​Goal. "But the 120-minute cup match was noticeable, in Dortmund too. You must not allow that when you're three up after 75 minutes. That was a warning, but I think it was a deserved win and the right margin of victory." Bayern are currently just five points behind the league leaders Dortmund and will be hoping that their rivals will drop more points as the campaign goes on so that they can cut the deficit to the top. Having started the season on a slow note, and with the manager also getting very close to being fired, Kovac will be glad that the team is back on the winning track and chase Dortmund. They will also have to contend with facing Liverpool in the Champions League round of 16 tie, in which they will be the favourites to go through to the next round.